Andrew Jay Feustel is a NASA Astronaut with two flights on the U.S. Space Shuttle including the final servicing mission to the Hubble Space Telescope. 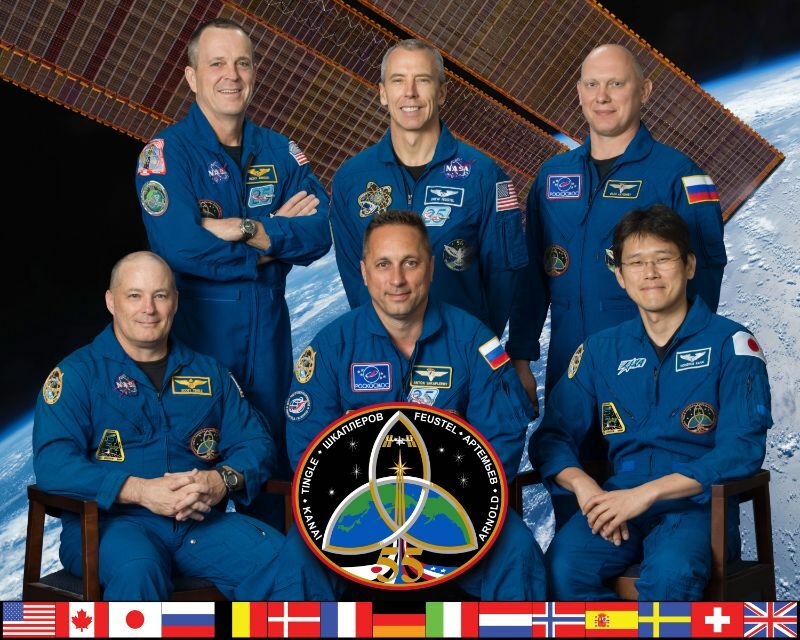 A trained geophysicist, Feustel is set for a long-duration space flight to the International Space Station in 2018 as part of Expeditions 55 and 56, serving as Station commander for the second portion of his half-year stint. Born August 25th, 1965 in Lancaster, Pennsylvania, Drew Feustel considers Lake Orion, Michigan his home town. He graduated from Lake Orion High School in 1983 and received an Associate’s Degree from Oakland Community College in 1985. Feustel then enrolled at Purdue University, earning a Bachelor’s in Solid Earth Sciences in 1989 and a Master’s in Geophysics in 1991. Relocating to Ontario, Canada, Feustel completed his doctoral thesis and earned a PhD in Geological Sciences in 1995. While enrolled at Community College, Feustel worked as an auto mechanic restoring 1950 Jaguars and his summers during his BS and MS courses were spent working as a glazier. At Purdue, Feustel was a Residence Hall Counselor and worked as a Research and Teaching Assistant. Completing his postgraduate studies, Feustel joined the Engineering Seismology Group, an geophysical products and services company based in Kingston, Ontario for three years before starting work for Exxon in Houston, Texas as an Exploration Geophysicist. 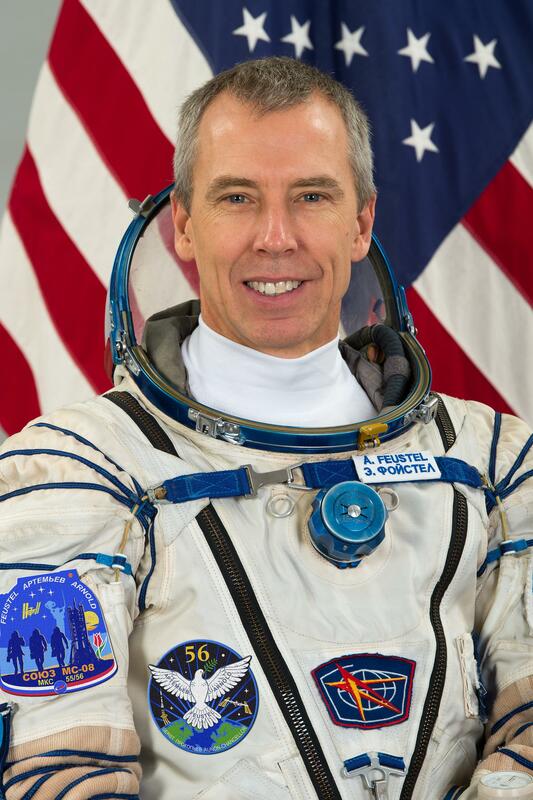 After spending five years working in industry, Feustel was selected as an Astronaut Candidate by NASA in July 2000 as part of the agency’s 18 Astronaut Group. He reported to the Johnson Space Center in August for two years of basic training and evaluation that included T-34 flight school in Florida, general spaceflight training and familiarization with aerospace technology. After completing Astronaut Training in 2002, Feustel entered the Astronaut Office’s Space Shuttle and Space Station Branches for various technical duties including Capcom shifts at Mission Control. He continued generic training to keep up his qualifications as Shuttle Mission Specialist with particular focus on Extravehicular Activity and Canadarm robotics training. 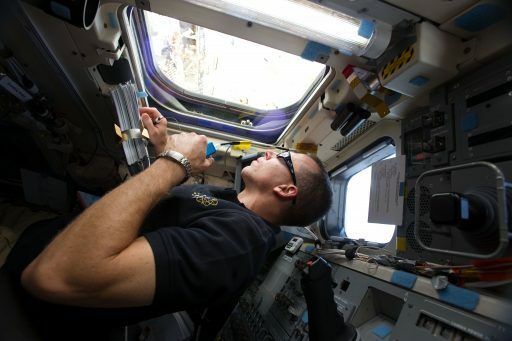 In July 2006, Drew Feustel served among the crew of the NEEMO 10 undersea expedition to the Aquarius underwater habitat off the coast of Florida for a space exploration simulation mission. NEEMO 10 had a duration of seven days and involved JAXA Astronaut Koichi Wakata as commander, Astronauts Drew Feustel and Karen Nyberg, and NOOA’s Karen Kohanowich. In October 2006, Feustel was assigned a Mission Specialist position on the STS-125 mission – one of the most-complex and most high-profile Shuttle missions post-Columbia as the final servicing mission to the Hubble Space Telescope. 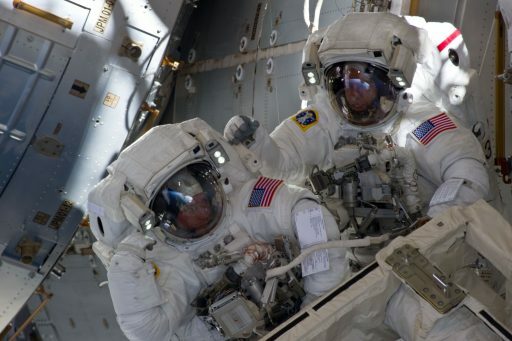 Given the complexity involved in the mission, the seven crew members spent two and a half years in mission-specific training rehearsing the spacewalk scenarios. Space Shuttle Atlantis lifted off on May 11, 2009 with a crew of seven including three with previous hands-on experience with Hubble in orbit. 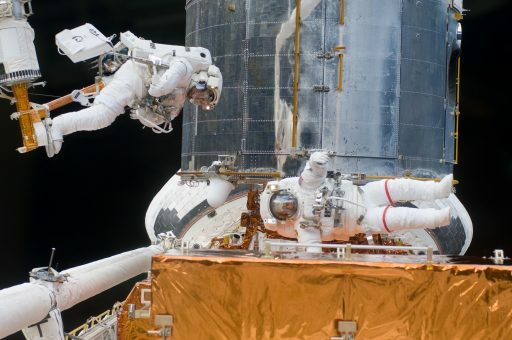 The Shuttle linked up with Hubble after a two-day rendezvous and so began a five-day effort of back-to-back spacewalks to add two new instruments to Hubble, installing a Fine Guidance Sensor and replacing gyroscopes, batteries and thermal insulation on the 19-year old space telescope. Drew Feustel completed EVAs 1, 3 and 5 together with Hubble veteran John Grunsfeld, installing Wide Field Camera 3, replacing a Command & Data Handling Unit, adding the Cosmic Origins Spectrograph, replacing faulty electronics cards and upgrading the telescope’s batteries, guidance sensors and thermal protection. Atlantic departed Hubble on May 19 and received a two-day mission extension as teams waited for favorable weather in Florida but in the end had to move the landing to California’s Edwards Air Force Base where Atlantis touched down on May 24 after a journey of over eight million Kilometers. 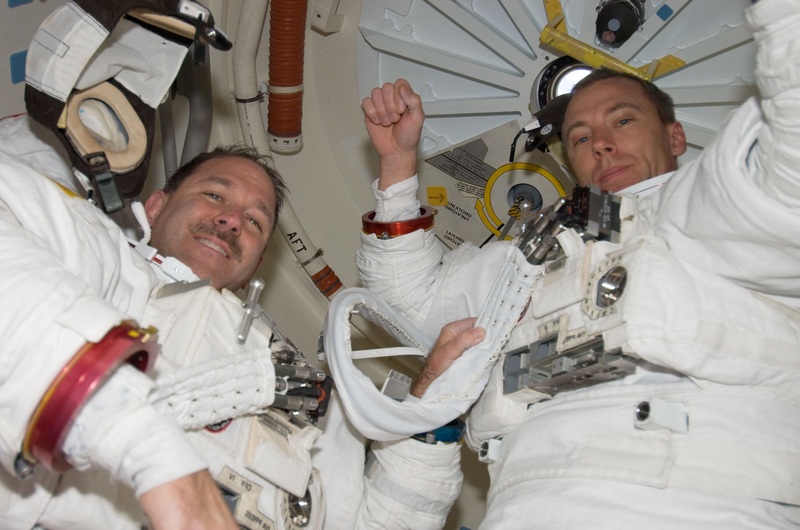 During the mission, Feustel accumulated twenty hours and 38 minutes of spacewalking time and logged 12 days and 21.5 hours in orbit around Earth. After returning from Hubble, Feustel was almost immediately given his second flight assignment as a Mission Specialist on the penultimate Space Shuttle mission. Endeavour blasted off on May 16, 2011 with a crew of six and a payload of nearly 16 metric tons, including the high-profile Alpha-Magnetic Spectrometer set to become the Space Station’s prime astrophysics instrument to further the hunt for Dark Energy. Endeavour linked up with the Space Station after two days and the first two days at ISS were dedicated to the installation of Express Logistics Carrier 3 and the AMS-2, both completed robotically. Next was a series of four EVAs, the final four non-U.S. Stage EVAs to be carried out aboard the Space Station to deal with a variety of external maintenance and outfitting tasks and also leaving the Orbiter Boom Sensor System behind on ISS to act as an extension to the Space Station’s robotic arm if needed in the future. Feustel added three EVAs to his record, bringing his total to six career EVAs with a total of 42 hours and 18 minutes, putting him in the Top 20 on the all-time list. Endeavour closed out its final voyage on June 1st, 2011 with a flawless landing at the Kennedy Space Center after a 16-day, 10.5-million-Kilometer mission. On his two Shuttle flights, Feustel spent a total of 28 days, 15 hours and 17 minutes off the planet. 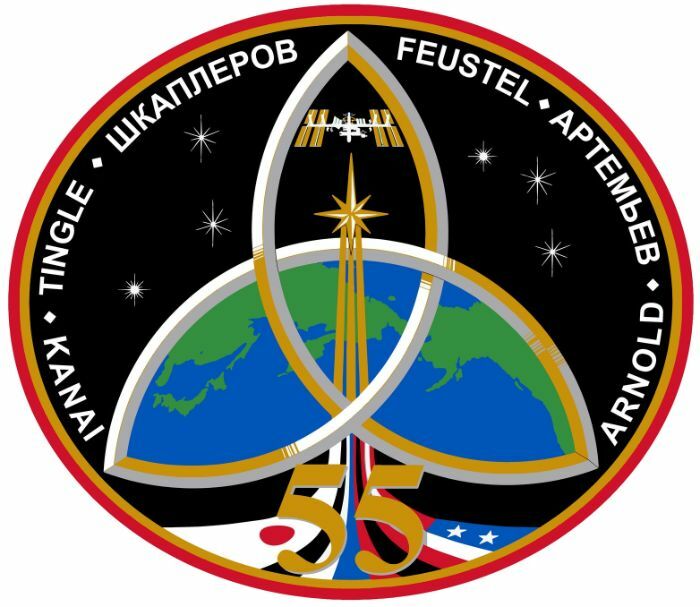 After the end of the Space Shuttle Program, Feustel entered Space Station training operations for a long-duration mission, being assigned to the prime crew of Soyuz MS-08 to serve as Flight Engineer for Expedition 55 and assume the Commander’s position for Expedition 56. Reporting to the Gagarin Cosmonaut Training Center, Feustel completed two training blocks to be certified for flight aboard the Soyuz MS spacecraft and he went through winter survival and water landing training as part of contingency preparations. Drew Feustel will be the Soyuz Board Engineer #1, riding in the left seat and providing assistance to commander Oleg Artemyev during the nine-minute ride to orbit and two-day launch to docking profile intended for the MS-08 mission.